In partnership with Foot Locker and ASICS, this three-week class will cover footwear design, materials and retail marketing. The class will take place in Portland, Oregon from July 13th-31st, 2015. 18 students will be selected and divided into 6 teams. The winning team will receive $12,000 in scholarships, and their designs will have the opportunity to be sold at select Foot Locker locations. The application is open now through May 24th. 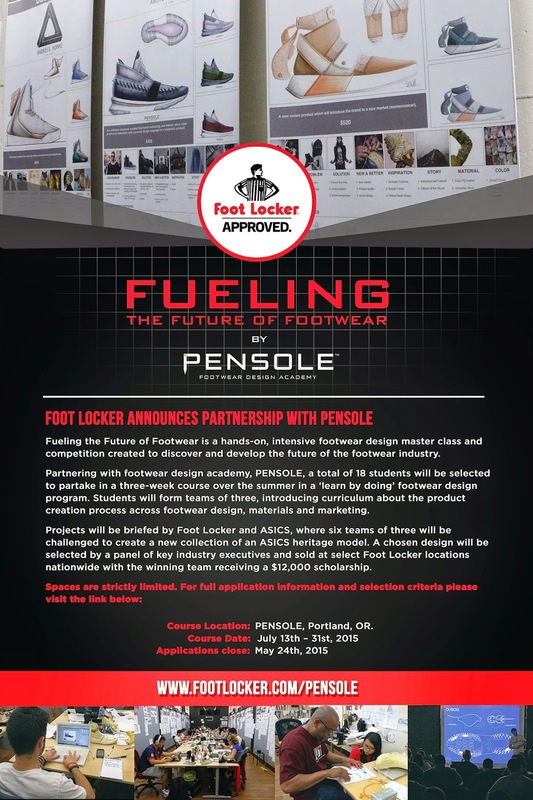 Students can apply at www.footlocker.com/pensole in order to be eligible for a scholarship.